No Garden is Complete Without a Quality-Made Trampoline! 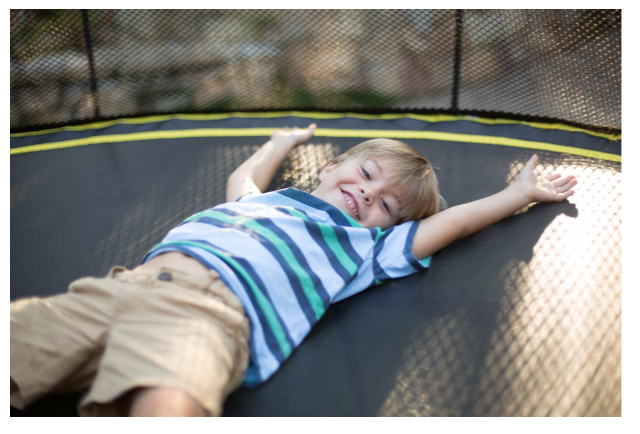 If you're looking for a creative way to provide your children with quality play-time, buying a trampoline is one of the best ways to promote active play. Not only is it entertaining for your children, but being a platform for exercising, it also helps boost their health. When purchasing a trampoline you need to research the market thoroughly so that you are sure your money doesn’t go to waste. The trampoline should exude quality in terms of performance and safety and should put your children’s safety first. Below are some of the most important aspects to look for in quality trampoline design. When it comes to buying a trampoline, safety should be at the top of your priority list — and at the top of the manufacturer’s as well. When looking for a trampoline, a spring-less design guarantees the largest reduction in injury. Spring systems increase the chances of injury especially since all springs are situated horizontal to the frame and within reach of the jumping area. Such a system puts your children’s arms, legs and other body parts in danger of becoming pinched or trapped. Alternatively, Springfree trampolines utilise flexible composite rods which are much safer compared to traditional springs — as they are located below the jumping surface, preventing any contact with the bouncer. Additionally, the frame itself is placed below the jumping mat as well so that children are in minimal contact with any of the harmful parts. Additionally, Springfree offers the SoftEdge mat, which is 30 times for shock absorbent than traditional pads that cover springs, while the FlexiNet enclosure guides jumpers safely back to the surface thanks to flexible carbon rods (and not rigid steel poles) that absorb energy and weight rather than resisting them. To better understand the trend-setting advances being made in the trampoline design game, find a Springfree Trampoline for sale in your area, and test it for yourself! Another aspect that you need to look at when purchasing a trampoline is its ability to resist weather conditions. The trampoline, being an outdoor item, should be built such that it can be left outside even in adverse weather. With Springfree trampolines, you do not have to worry about product degradation, as you can leave them outside without having to worry that they might get damaged. Each trampoline is built with rust and UV-resistant parts, ensuring the longevity of each model. If a company has a great reputation, it means that they have really outdone themselves in terms of quality. Springfree trampolines offer the highest-quality models in the market today, having won the Parent Tested Parent Approved Award in 2011, meaning that they have been tested and approved by actual US parents. These are just a few of the things that you should look for when choosing a trampoline for your garden. If you're sure to find a brand that is weather-resistant, safety-oriented, and that has won industry awards, you are well on your way to finding a trampoline that is both safe and fun for your family.